‘Sri Lanka Economic Summit 2016, organised by the Ceylon Chamber of Commerce will commence today August 2, with the participation of President Maithripala Sirisena. The two day summit, titled ‘Focus. Act. 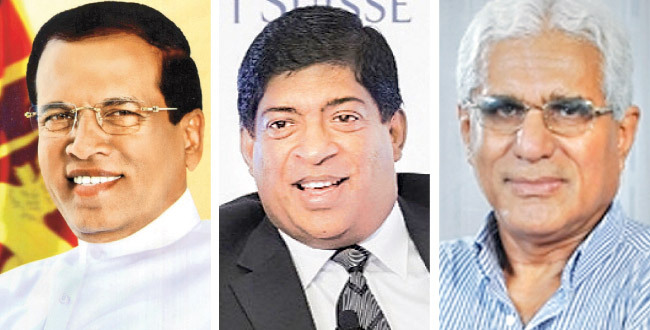 Deliver’, has attracted 460 top corporate and public sector senior executives will discuss how to unleash Sri Lanka’s unrealised economic potential. The Chamber will conduct seven sessions of strategic discussions covering areas such as how to accelerate Sri Lanka’s growth levels, private and public Partnerships, tourism, international trade and logistics, talent pool growth, commercial agriculture and also on the country’s ailing public enterprises. The first session of the event ‘Accelerating Growth, Pushing for Performance.’ will begin soon after the inauguration by President with the Finance Minister Ravi Karunanayake and the Central Bank Governor, Dr. Indrajith Coomaraswamy delivering keynote speeches. The duo’s addresses will be followed by a panel discussion with the participation of another three eminent resource persons, in Idris Jala, CEO of Pemandu, Malaysia, Former Central Bank Deputy Governor W. A. Wijewardena and IPS Chairman Prof.Razeen Sally. Fifty high calibre resource persons from both Sri Lanka and overseas, representing both public and the private sector will join into share insights across the two days, focusing on how to move from issues to solutions, potential to performance and rhetoric to action. The annual event, is held for the 17th consecutive year and falls in line with some of the Ceylon Chambers key principals, which it stands for, such as creating a market oriented and a private sector led economy, an economy based on competitiveness, driven by exports, attracting quality FDIs and making Sri Lanka a preferred investment destination. Where are the women representation in the Panel?